DeckStainHelp.com has become the Internet’s go-to site for professional wood deck staining tips. As before, we recommend you do not stain new wood prior to installation. Instead, wait 3+ months after installation before staining new wood surfaces. This will allow the wood to weather, creating an ideal porous surface that will hold the stain better. We encourage discussion on our site, so feel free to leave a comment. Should you Pre-stain New Wood Before Install? The simple answer is No. Wood decks are a great way to add extra outdoor living space to any home. Not only do they provide a place for the family get-togethers, but they can also add value to your home. Building a new wood deck or replacing some boards on an existing deck obviously requires using new wood. As you probably know the new wood will need to be treated with a wood stain to protect it from the elements. One might tend to think that pre-staining the new wood prior to the install will save some time. Although it would seem that way it is really not a good idea to do so. Welcome to Deckstainhelp.com, your source for industry insights and tips for the perfect deck stain project execution. Having the right tools is so important for a successful stain job, so we list our recommendations for the best stain application brushes and pads to get the job done right in 2019. We want to hear from you. What are your favorite application brushes and pads for deck stain and why? Leave us a comment below. As with any wood staining project using the right tools is essential to achieving good results. There are many different types of stain applicators. Several tools can even be combined to get the desired result. 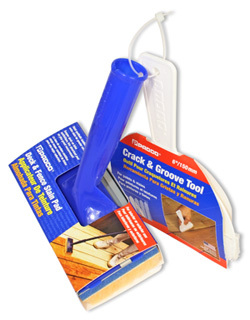 Let us look at some of the more common stain applicator tools. A basic white china bristle brush is always a good bet. A big 4 or 6-inch brush can hold a lot of stain for large areas. A brush is also good for getting into hard to reach places and for edging. Use a brush on the whole staining project or use it to cut in before tackling the larger areas. Welcome to Deckstainhelp.com, your source for the latest tips, tricks, deck stain industry insights. This is an update for our previously published article, discussing whether or not you should stain all sides of deck board. As before, we recommend you only stain the exposed sides of the deck board. We want to hear from you. Leave us a comment below. Stain All Sides of Boards or Just Exposed Sides? A common question when it comes to staining a wood deck is whether or not you have to stain all the sides of the deck boards including underneath. Normally a deck floor is only stained on the exposed side facing up. This helps protect the boards from UV fading and water damage. The underside of a deck obviously is not going to be subjected to any harsh UV rays but what about moisture? Moisture and water damage can be a problem especially on the exposed side of a deck where rain constantly hits the boards and may even puddle up allowing it to be absorbed. On the underside of a deck, the boards are not being pelted with rain but they can get slightly wet during a good downpour. The problem with staining deck boards underneath is that it is almost more trouble than it is worth. We appreciate you visiting Deckstainhelp.com as we continue to be your go-to source for the latest in deck restoration news and trending topics through 2019. Feel free to leave a comment below with any pictures you may have. In this article, we will compare the deck stain brands that we have reviewed to give a better understanding of physical properties, application info, and any other useful data that can help you determine which stain to use.